The Oakland Raiders are riding high on top of the AFC West at 10-2 their offense is one of the best currently in the league. The last time that the Raiders have been this explosive was back in 2002. 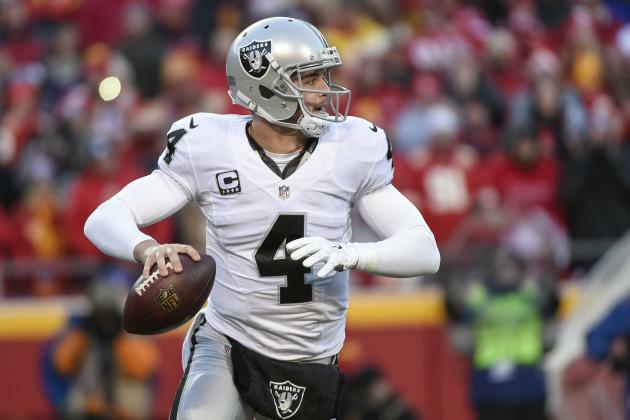 The Oakland Raiders have been on the look out for their franchise quarterback ever since Rich Gannon. The team went through Sixteen quarterbacks later until they finally found their quarterback Derek Carr. The Oakland Raiders selected Derek Carr in the second round of the 2014 NFL Draft with the 36th overall pick from Fresno State. Carr throughout his young NFL career has put up mind-blowing numbers, 77 touchdowns 33 interceptions 10,632 passing yards. 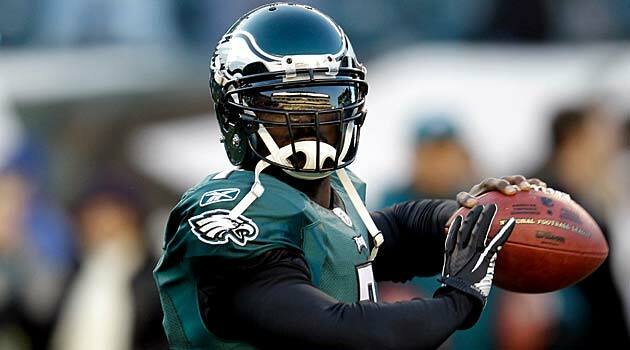 He currently is having his best season yet 3375 passing yards, 24 touchdowns to only five interceptions. Carr numbers have been unbelievable due to playing behind one of the best offensive lines only behind the Dallas Cowboys. Derek Carr has only been sacked just twelve times this season and just once over the past three games. The Raiders made quite an impact this offseason they spent more than $70 million to plug big holes on offense and defense. Oakland spent 37.5 million for the offensive line just behind the Minnesota Vikings at $39.6 million according to Spotrac. They made a big splash in signing offensive lineman Kelechi Osemele, linebacker/defensive end Bruce Irvin and cornerback Sean Smith while re-signing left tackle Donald Penn. Oakland ranks in the top ten in all respected categories offensively 28.8 points (3rd), 391.7 yards (5th), 227.1 passing yards (4th), 114.6 rushing yards (7th). The Raiders are a very entertaining and an explosive team to watch. The Raiders are versatile they are a balanced team because they can expose teams on the ground or in the air. This team is stacked with several weapons that give any defense nightmares on game day when they have to face them. The best pound for pound wide receivers duo, in the NFL right now is Amari Cooper and Michael Crabtree they are both former number one draft picks. In the 2015 NFL, the Oakland Raiders selected Amari Cooper with the 4th overall pick from Alabama. I knew that he would be a star because of his unbelievable career at Alabama. The Raiders were in desperate need of a number one wide receiver, the last one that the team had was Randy Moss back in 2005.
Cooper made history as a rookie as he became the first Raider wide receiver to record 1,070 yards in a season he only had six touchdowns. He’s on pace for another 1,000 yards this year he will shatter his rookie record in yards this season. Over the years the Oakland Raiders were infamous for their horrible draft picks over the years. In 2009 The Oakland Raiders selected Darrius Hayward-Bey with the 7th overall pick. It was the wrong selection because he ended up being a bust and he never lived up to potential due to the fact he always injured. The Raiders were very interested in Michael Crabtree. 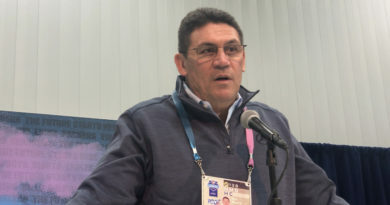 However, he was selected by their rivals the San Francisco 49ers with the 10th overall pick from Texas Tech. Crabtree had a couple of great years with the 49ers he even had a SuperBowl appearance against the Baltimore Ravens in 2012 but the 49ers ended up losing 34-31. 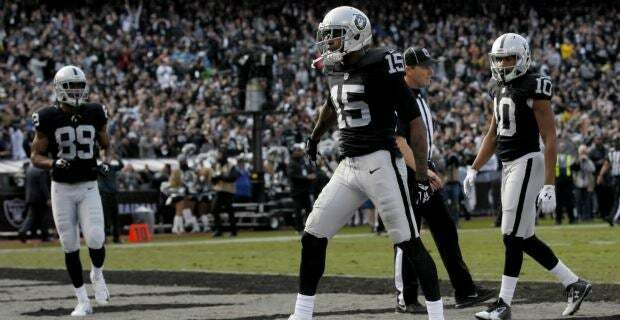 In the 2015 season, Crabtree was a free agent he decided to sign a one-year deal with the Oakland Raiders. In 2015, he had his best season to date since 2012 with 922 yards he also tied his best mark in touchdowns with nine. One year later Crabtree scored a new contract with the Oakland Raiders he agreed to a four-year deal that was worth 35 Million. Michael Crabtree is on pace to hit 1,000 yards with only 215 yards away and he will break his touchdown record he currently has seven. Ever since coming to Oakland Michael Crabtree has resurrected his career. Crabtree is only 29 years old he is one of the leaders of this team because the team is filled with young players. Crabtree is in the perfect system because he can be used as a decoy to get Copper open or the other way around. The Oakland Raiders are on pace to have their best season to date after 14 years of suffering and misery. Oakland will only go as far as Carr, Copper, and Crabtree will take them.